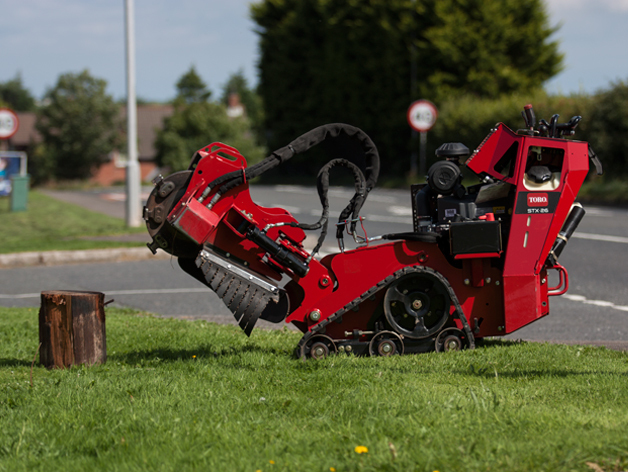 The Toro STX -26 Tracked Stump grinder is compact and agile. But above all it is operator friendly and super efficient. 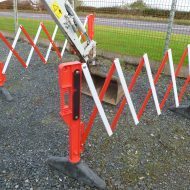 The low ground pressure track drive ensures that the Toro Stumper can access challenging sites and remain sure footed while being operated even on slopes. The hydraulic sweep cutting head uses the latest in cutter teeth technology ensuring rapid removal of the target stumps.Ease of use ensures less fatigue on the operator with the digger like control console ensuring positive and accurate control of the cutting head.The TORO hyraulic tracked stump grinder can be used in conjuction with the chippers and shredders both tracked and road tow that are also on our rental fleet. BE SURE to consider the operators manual before use, prepare the site, inform bystanders, and always wear the recommended protective wear.